Native of Hiroshima, Japan, Takeshi Ohbayashi began playing piano at the age of two. 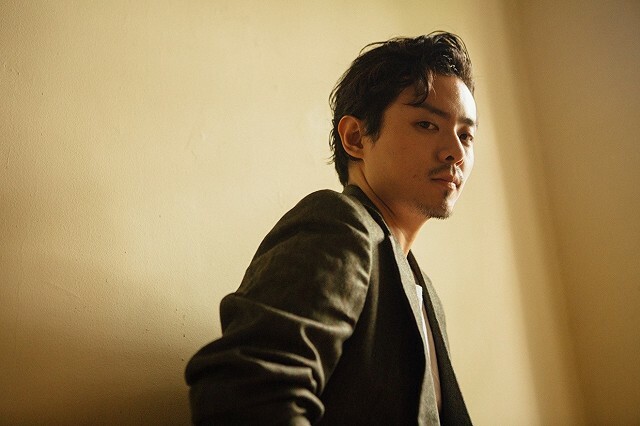 Ohbayashi studied film scoring and composition at Tokyo College of Music, but it was not until he attended a jazz piano clinic during his freshman year, that he found his calling to jazz. He was awarded a scholarship to the renowned Berklee College of Music in Boston, where he began his studies in 2007. Following this, Ohbayashi was awarded the Best Player Award and the Audience’s Favorite Award in the 2009 Yokohama Jazz Competition. In Fall 2009, Ohbayashi was selected to be a part of the opening class of the honorable Berklee Global Jazz Institute, led by Danilo Perez. During his time in the Berklee Global Jazz Institute, Ohbayashi performed and taught alongside world class musicians in music clinics around the world. Ohbayashi graduated from Berklee in 2011 and currently resides in New York City where he leads his own trio and co-leads the New Century Jazz Quintet, with Grammy award winning drummer Ulysses Owens Jr. Ohbayashi quickly garnered reputation as an in demand pianist/keyboardist between world class jazz musicians in New York City. Some of the notables that Ohbayashi has played with internationally include Takuya Kuroda, Jose James, Terri Lyne Carrington, Hailey Niswanger, Charles Turner III, Felix Peikli. 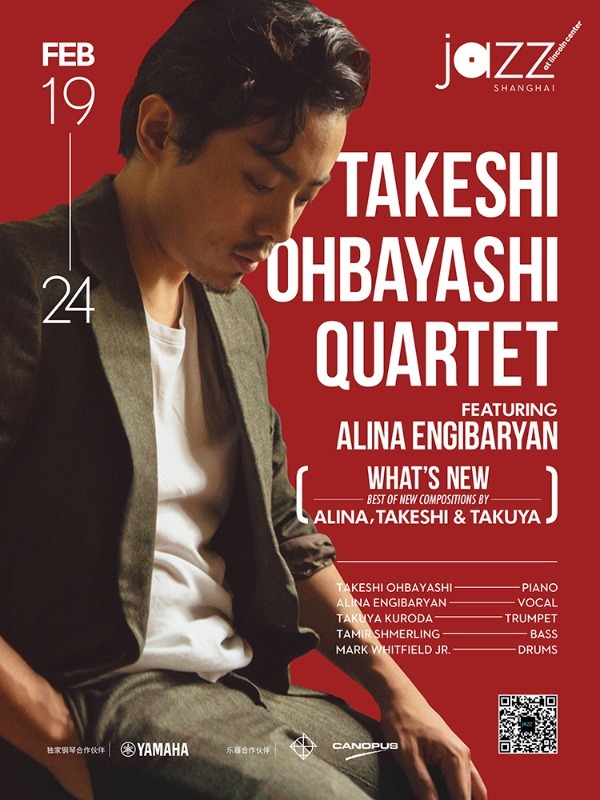 Ohbayashi performs both as a sideman and leader regularly at New York jazz staples such as: Blue Note, Jazz at Lincoln Center, Small's and Smoke, to name a few. Frequently on tour, Ohbayashi has traveled domestically and internationally to over 30 different countries with a myriad of NYC based artists. In 2016, Ohbayashi received 1st place at the Jacksonville Piano Competition, being the first Japanese pianist in history to do so. That same year, New Century Jazz Quintet won the DCJazzPrix at the DC Jazz Festival. In addition to his illustrious performing career, Ohbayashi is also an accomplished and reputable educator. He travels abroad to perform and teach with the tour organized by Jazz at Lincoln Center, JazzReach. 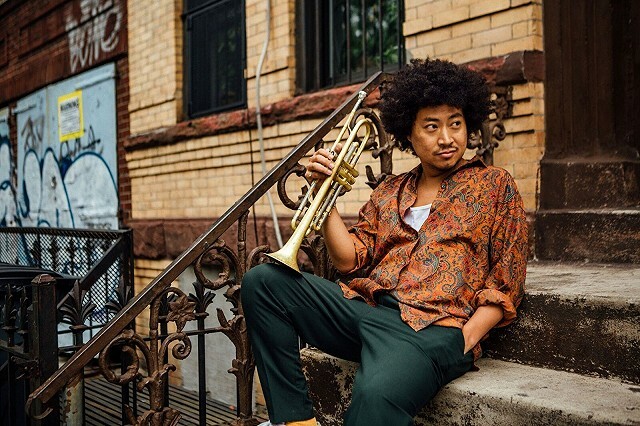 Jazz trumpeter Takuya Kuroda is a forward-thinking musician with a bent toward mixing post-bop and adventurous soul-jazz. Born in Kobe, Japan, Kuroda followed his older trombonist brother into the local music scene, playing in big bands. After studying music in Japan, Kuroda relocated to New York to attend the New School Jazz. While at New School, Kuroda befriended upcoming jazz vocalist José James, who invited Kuroda to record with him. Kuroda appeared on James' 2010 sophomore album, Blackmagic, and later on No Beginning No End -- for which he also wrote the horn arrangements. Upon leaving Berklee, Kuroda moved to New York City, where he enrolled at the New School’s Jazz and Contemporary Music program, graduating in 2006. After graduating, Kuroda quickly ensconced himself in the vibrant N.Y.C. jazz scene, performing with such artists as DJ Premier, Akoya Afrobeat and others. In 2011, Kuroda released the independently produced album Edge, followed by Bitter & High and Six Aces in 2012. In 2013, Kuroda signed with Blue Note Records and recorded his third solo album, the José James-produced Rising Son. Released in 2014, Rising Son featured a strong soul-jazz and hip-hop influence exemplified by the presence of several Roy Ayers compositions including "Everybody Loves the Sunshine," which featured James on vocals. In 2016, Kuroda returned with his fifth solo album, and first for Concord, Zigzagger. Produced by Kuroda, the album found the trumpeter expanding upon his funk, fusion, and hip-hop-influenced sound with another set of mostly original compositions. Included on the album was a collaboration with New York Afro-beat ensemble Antibalas. Was born on 15 of May 1993, in Rostov-on-Don , Russia. “An intimate voice full of valiant whims, Alina Engibaryan is a novel vocalist within a modern improvisational tradition. She has passionately developed a sensibility that enables her to communicate emotions instantly to the audience and her fellow musicians. With both a technical mastery and an audacious attitude, Alina is a live experience to be heard”. In 2012, She was a finalist in the Princes Christina Jazz Concours in Amsterdam, one of the largest jazz competitions in the country. The following year Alina was a finalist in the Dutch Vocal Competition, establishing her prowess in the European jazz scene. Netherlands. 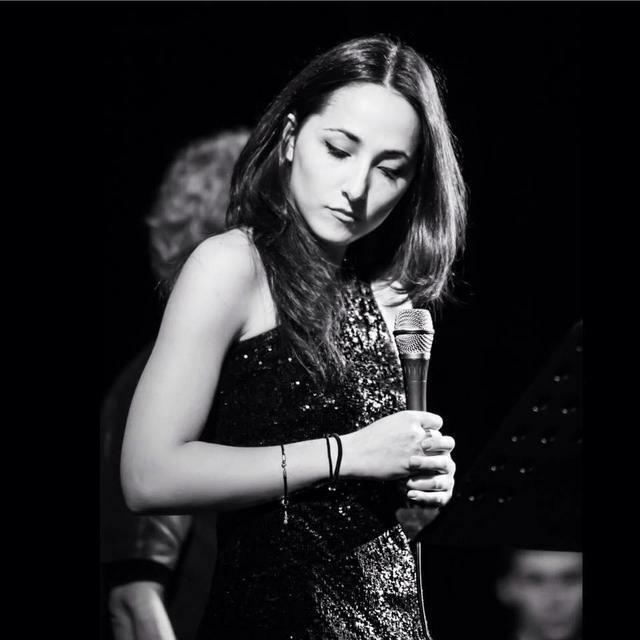 After finishing with her bachelor in vocal performance – Alina continued her studies at the Prince Claus Conservatory, getting a Masters degree in Big Band Jazz Arranging. In 2015 – Alina was announced as the winner of the Shure Montreux Jazz Voice Competition by jazz and soul singer Al Jarreau, who was leading the competition jury during its final stages, held at the Petit Théatre in the Montreux Palace. Now she is New York based and performs regularly around the world with her own band. Mark Whitfield Jr was introduced into the world of music by his father, guitarist Mark Whitfield, who could tell from an early age Mark Jr was a drummer in the making. Quickly, Mark Jr progressed from air-drums in his walker to sitting in on his father's gigs. 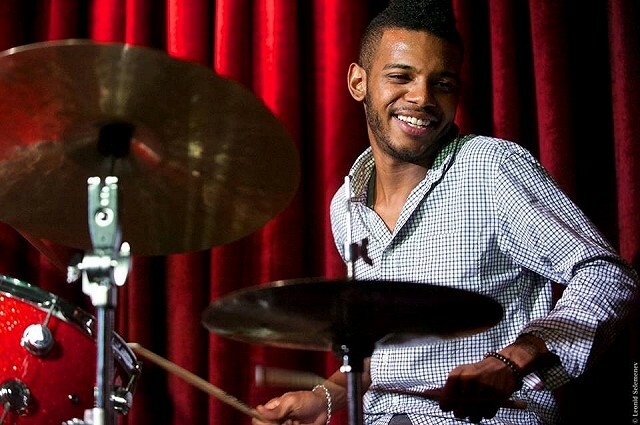 After graduating from Berklee College of Music, in the spring of 2011, Mark moved back to the NYC area, joined Myron Walden’s Momentum and played around the New York jazz scene. In February 2013, Mark had the pleasure of recording with Kenny Garrett on his Grammy nominated album, PUSHING THE WORLD AWAY. While still playing with Myron, and subbing with countless other names in the jazz world, Mark filled in on a gig with Sean Jones in the Summer of 2014. After about a year Mark joined Sean Jones’ band and has also been fortunate enough to play with the likes of Orrin Evans, Christian Scott, Wallace Roney, Kurt Rosenwinkel, Aaron Goldberg, Tia Fuller and Charnett Moffett. In 2016, Mark and his family released their first album as a family entitled GRACE (Whitfield Family Band) and also was a part of Sean Jones’ Mack Avenue release LIVE FROM JAZZ AT THE BISTRO. Mark still plays in NYC, mainly at the Fat Cat or Smalls Jazz club, with the likes of Frank Lacy, Theo Hill, Stacy Dillard and David Bryant, while still traveling around the world and USA with Sean Jones, Mark Whitfield, Christian Scott, Charnett Moffett, Tia Fuller, Manuel Valera and other names in jazz . Mark is a endorser of Canopus drums and Meinl cymbals. Tamir Shmerling is a double and electric bass player from Ashkelon, Israel. He served as the bassist in the Israeli Defense Forces Orchestra from 2005 to 2008. Later he performed with the Tel Aviv and Holon big bands and studied at Rimon School of Music. 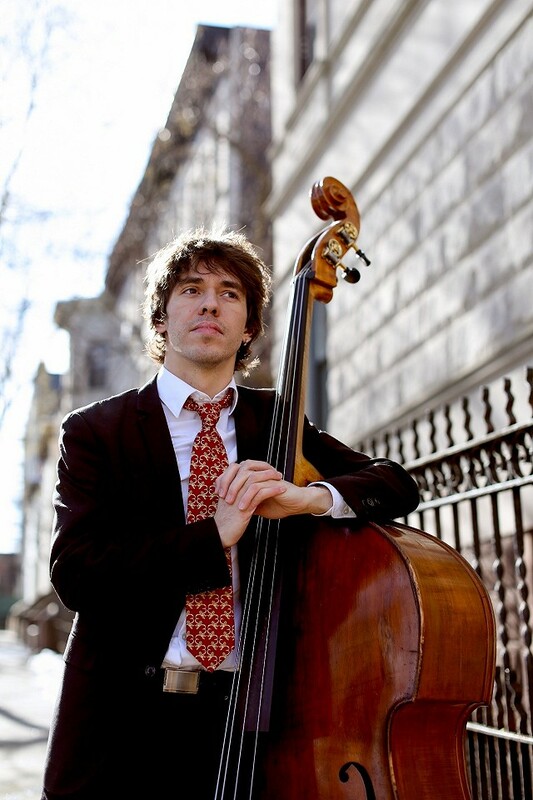 In 2008 Shmerling was awarded a scholarship to attend Berklee College of Music in Boston, MA, where he studied with Hal Crook, Ralph Peterson, Jr., Terri Lyne Carrington, Greg Osby, Jamey Haddad, Alain Mallet, John Lockwood and Ed Tomassi. Since his arrival to the United States in 2009, Tamir has had the honor to work with artists such as Terri Lyne Carrington, Cyrille Aimee, Marc Cary, Jason Palmer, Eli Degibri, Adam Rogers, Nona Hendrix, Gretchen Parlato, Helen Sung, Lizz Wright, Myron Walden, Adam Birenbaum, Takeshi Ohbayashi, Lefkowitz-Brown and many more. Tamir has performed at Newport Jazz Festival; Tokyo Jazz Festival; Kennedy Center; SFJAZZ; Martha's Vineyard Jazz Festival; Toronto Jazz Festival; Montreal Jazz Festival; Heineken Jazz Festival; Blue Note, Smalls, Jazz Standard, Fat Cat (New York); Palau de les Art Reina Sofia (Valencia) etc.